Managing trucking fleets isn’t a walk in the park. According to a recent survey conducted by Littler Mendelson, 75% of employers say that their companies find it difficult to comply with the patchwork of state and local requirements. And while freight demand is stronger than ever — the American Trucking Association forecasted last year a 35.6% increase in shipment volumes by 2029 to 21.7 billion tons — there’s a driver shortage, with high turnover at least partially to blame. Obaid Khan, Ryan Johns, and Shoaib Makani cofounded KeepTruckin in 2013 to address a few of those challenges, and they’ve had a good deal of success. In a little over five years, they’ve attracted tens of millions in venture capital from a bevy of investors, and they today announced the closure of a fresh financing round that catapults KeepTruckin to “unicorn” status. KeepTruckin offers a comprehensive toolkit that helps fleet managers and partners comply with rules and regulations, track shipments, ensure a baseline level of driver safety, and keep vehicles operating in tiptop shape. Managers can dispatch information to drivers’ phones and match those drivers with loads, or dig into logs and see trucks’ routes in a calendar and map view, with entries denoting starts, stops, and breaks (along with durations for each). Drivers’ locations are tracked in real time with GPS in KeepTruckin’s dashboard and smartphone apps for Android and iOS, as is vehicle idling. (Admins can rank drivers by utilization and spot irregular or unsafe behavior like braking, speeding, and travel in or around restricted areas.) And for folks who require more granular tracking, KeepTruckin offers video monitoring via a dash cam and its bespoke hardware: a Bluetooth- and USB-enabled device that connects to 9-pin, 6-pin, OBD-II, Dual CAN, Mack, and Volvo ports and tracks vehicle data. KeepTruckin claims its products identify over 95% of safety events and says that they comply with the U.S. Federal Motor Carrier Safety Administration’s Electronic Logging Devices, which imposes certain performance and design standards and requires that commercial drivers prepare hours-of-service records of duty status. Furthermore, it says its automatic time log auditing and alerts features — features that support custom inspection forms and collate inspection history for maintenance and vehicle reports — help to maintain high compliance, safety, and accountability (CSA) scores under the Federal Motor Carrier Safety Administration’s rules. That’s the tip of the iceberg. KeepTruckin can automate fuel purchases for vehicles, report per-jurisdiction fuel tax, and facilitate real-time driver-to-driver communication or fleet-wide broadcasts. (Its messaging feature supports text-based messages, images, documents, and more.) As for drivers, they get the forms required for each job and a built-in inspection checklist through the KeepTruckin app to which they can add photos and notes, and a tool that lets them upload receipts. KeepTruckin’s appliance, meanwhile, continuously monitors fault codes through its connection to onboard vehicle diagnostics and displays issues (along with actional descriptions) the minute they occur. KeepTruckin says it has more than one million registered drivers and 250,000 connected trucks on its platform, pricing for which ranges from free to $ 30 per month billed annually. And it counts 50,000 for-hire carriers among its customers (up from 30,000 last year), including Harms Pacific Transport, WDC, BRT, Cascade, and IDI Distributors. Additionally, it says that the 25 integrations in its app marketplace are used by over 130,000 trucks. As impressive as that growth might seem, however, KeepTruckin has no shortage of competition in the nearly $ 1 trillion trucking industry. Peloton raked in $ 60 million to improve truck platoon efficiency through automation, and on-demand freight delivery platform Ontruck secured $ 10 million. Convoy, which provides a platform that connects shippers with truckers, raised $ 62.5 million for a platform that connects shippers with truckers, while Convargo and CargoX nabbed $ 19 million and $ 20 million, respectively. But investors like Greenoaks Capital founder and managing partner Neil Mehta believe there’s plenty of growth opportunity. KeepTruckin has seven offices in addition to its San Francisco headquarters, across which hiring grew by two times in the past year. It now has over 500 employees. You’ve just launched your inbound campaign and high-quality leads are beginning to flow into your Dynamics environment. Your work here is done, right? Of course not! This is only the beginning. Now you have to make sure those CRM-ready leads remain high-quality by developing them into sales-ready prospects. And sometimes, that can take a while. The sales cycle can be long, especially if your marketing efforts are targeting B2B customers. It’s not always easy to nurture these leads in an efficient, timely manner. That’s where your marketing automation platform can really help. Using automated nurturing tactics as part of your campaign ensures that your leads are sent the most appropriate content for them, at exactly the right time, no matter where they are in the sales journey. Let’s define exactly why the nurturing phase of the campaign can be so challenging, then examine some best practices for conducting a successful automated email campaign of your own. Sometimes it might make sense to target everything marked as a Lead in your Dynamics instance. But generally speaking, you need to be able to separate leads into different segments or lists based on a variety of criteria, like demographic or firmographic data. Once formulated, you can use these lists to target specific customers that are at similar places in the customer journey. With an integrated CRM and marketing automation platform, you’ll have a variety of segmentation tools at your disposal, including subscription centers that allow your contacts to manually opt in or out of newsletter and other marketing materials. Today, your prospects are able to interact with you in a myriad of ways. You shouldn’t rely on email drip campaigns alone to generate and nourish all of your leads. In order to maximize the effectiveness of each channel, you need to consider how they work for your different targeted segments. You can then utilize the most relevant channels in your nurturing process. Are events and webinars a way that your organization generates excitement for potential buyers? Make sure these are included in your plans. Set automated emails with invites based on the criteria that has indicated interest in this approach in the past. Or, if a certain group of prospects might respond better to a phone call, make sure an alert is set to trigger that action as well. Lead lifecycle stage management allows you to identify and label contacts based on their lifecycle stage, or buyer journey stage. These labels can be set to activate with an automated trigger, such as when a customer takes a trackable action, like downloading a gated asset from your landing page. You can usually automate the same identifiers you have always used to mark a qualified lead, saving a lot of time and ensuring that opportunities to reach out to your prospective buyers are never missed. Lead scoring has been a tried and true method of qualifying leads for a while now. Each time an interaction is executed within the customer journey, the score is adjusted, helping you pinpoint the level of interest in your products or solutions. You can and should automate your nurturing tactics based on lead scores. Set your triggers so that contacts at the top-of-the-funnel receive the right content (often blog posts or infographics). Save gated-assets, like solution briefs or events like webinars, for middle-of-the-funnel prospects. Those contacts who are most-likely to buy should be targeted for demonstrations or sales visits. Your marketing automation platform, integrated into your CRM, will help you get the right content to the right segment at just the right time. And don’t forget about the power of multiple contact scoring models, which will help you create nurture strategies for long-term prospects, short-term prospects, customers, resellers, and more. Want help understanding how your marketing automation platform best connects to your Dynamics environment? Reach out to us at [email protected], or visit us at emarketingplatform.com. In our December 11th blog, we took a whirlwind tour of the sweeping changes underway in indirect tax reporting and electronic filing, highlighting some of the key markets where these changes are taking place. In this article, we discuss the new PEPPOL requirements in the European Union. Let’s start with a definition: PEPPOL is essentially a 21st-century electronic data interchange (EDI) network for the EU, based on a set of open, interoperable technical specifications across purchase-to-pay business processes. But PEPPOL is not another e-procurement system. This European electronic data exchange network was designed to facilitate secure electronic transactions between buyers, sellers, and government agencies. The range of organizations includes government departments, private and public companies, and representative service providers. PEPPOL enables government offices and commercial enterprises to exchange electronic trading documents, contracts, and tax files over a certified network within the EU. The PEPPOL network is based on a “four-corner” communication model. This model allows product and service suppliers to engage with the certified “access point providers” of their choice to exchange official electronic documents with users within the PEPPOL network. This network is governed by the PEPPOL TIA that define a many-to-many legal framework for operations. PEPPOL offers access to its network across the EU via accredited access points. Organizations using the network can themselves function as PEPPOL access points by meeting technical published specifications. Connections between access points are inherently multilateral, and thus only one PEPPOL connection per participating organization is required or authorized. All PEPPOL access points are granted with the contractual agreement that no roaming fees are charged or received. Thus, an enterprise may pay for commercial services from a network service provider (or ISP). But when connecting via PEPPOL to a customer of a different service provider, neither the customer organizations nor their service providers can charge additional fees for the PEPPOL connection. And because all access points have agreed to interoperability protocols, all existing e-procurement (P2P) and e-invoicing solutions become interconnected via PEPPOL. Therefore, when an organization uses an existing procurement solution on PEPPOL, its service provider is an access point that connects them to any other organization within the network. Fortunately for companies doing business in the PEPPOL markets of Belgium, the Netherlands, and Germany (via the XRechnung e-invoice standard), SAP is a certified PEPPOL access point. SAP now offers a version of document compliance (e-invoicing) with certified, PEPPOL-compliant functionality, SAP Document Compliance, on-premise edition. Learn more about the full range of SAP finance and risk solutions and please continue to read all of the blogs in our GRC Tuesdays series. This is an abridged version of an article that originally appeared on the SAP Analytics blog, and is republished by permission. Please read the full article here. It’s hard to believe, but technology has only been viewed as a quick-fix solution in the marketing industry for about five years. Since marketing tech is still in its infancy, expectations are through the roof — with the belief being that all these emerging technologies will act as a silver bullet to erase all our problems and eliminate all our obstacles. This is especially true of marketing automation software, which is often the solution to a lot of problems, although it’s not necessarily the immediate magical fix we’d like it to be. Developing great marketing strategies that produce awesome results goes far beyond technology, but marketing automation platforms can do the heavy lifting to help smart marketers deliver superior customer experiences with brilliant insights. That said, marketers who invest in marketing automation must be prepared to play the long game — to invest in their platform to the extent that they can maximize its capabilities. In the same way that smart marketers nurture and shape their customer journeys, they should also work to nurture and shape their use of these powerful technologies. If you’re not fully invested, you’ll likely only use a mere fraction of your platform’s capabilities, keeping you searching for the promised land with nothing more than the occasional glimpse at a mirage of an oasis. Here are eight simple tips to help you get the most out of your marketing automation platform. Don’t try to do everything at once. Get the basics working first, and you’ll be generating ROI in no time. Maintain momentum, build capability, and expand your customer audience. Bad data doesn’t create new leads; poor processes don’t move a prospect through the funnel; weak messages don’t engage your audience. Be the best you can be at every stage. Work with the Sales team to determine and implement best practices for lead nurturing and lead scoring so only the most qualified leads are sent to Sales. Train your staff around best practices behind segmentation, form creation, CRM integration, compliance, and all other marketing-related activities. Great marketing is customized to the user based on accurate, well-developed personas. This means delivering messaging based on their attributes and behavior. Let the data be your guide, and never assume anything. Many marketers are quick to blame their marketing automation platforms when they don’t achieve immediate success. The more likely culprit, however, is the marketer — but that’s okay! If your team is lacking the skills or knowledge to operate effectively, reach out to your vendor for advanced training. Your company probably just spent a pretty penny on that fancy new piece of tech, and they did so for a reason. Now, your job is to educate your stakeholders about the value of the platform and how it is supporting your marketing efforts to create efficiency and drive revenue. Within reason, you will need to adapt to the tool. It’s a piece of software, so it’s likely not as flexible or intuitive as the people operating it. Your marketing philosophy should remain fundamentally intact, but your marketing methodology might have to make occasional compromises. Marketing automation isn’t rocket science, but implementation, execution, and sustained success do require logic and a systematic approach. Make sure your team has the training and processes in place to be consistent in all aspects. Invest some time in deciding as a team how to set up and structure campaigns, segment data, name and manage imagery and assets, report consistently. Of course, the vendor will have lists of things for you to consider and do, but take the necessary time to think through the reality of how it will work for your business and how you and your colleagues might need to adapt. If you struggle at first, you might start looking for the next shiny piece of technology before you ever fire off that first email. Don’t give in to that impulse. Marketing automation can be the silver bullet you’ve been looking for, but that doesn’t necessarily mean you’re going to get it right the first time. Continue to adapt, ideate, and iterate — that unwavering commitment will be rewarded soon. 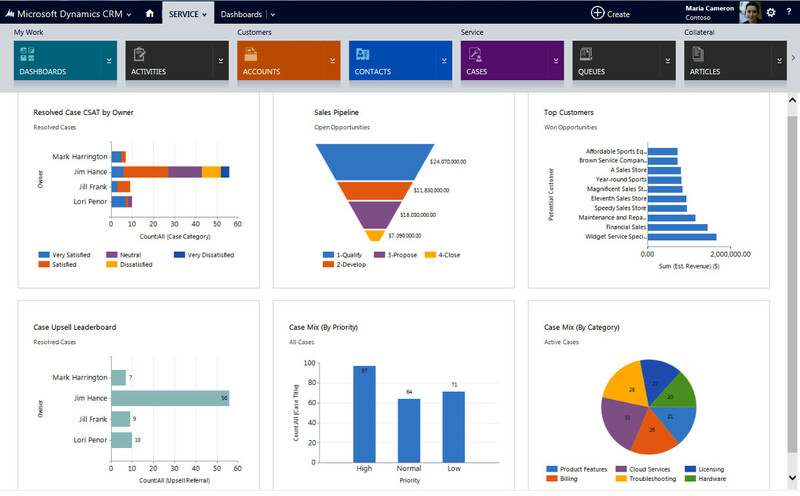 It’s finally time to get serious about integrating your Dynamics 365 Customer Engagement and marketing automation platforms. Way to go! Aligning sales and marketing is a critical component of maintaining success and achieving sustainable, long-term growth. And a key part of this alignment is making sure your marketing and sales systems align as well. But first you need a sound integration strategy to ensure your Dynamics 365 and the marketing automation platform you choose matches your organization’s needs. First, think about your overall marketing goals, the campaigns you will need to develop to help you achieve those goals, and how best to obtain the data you need to execute those campaigns—this process will inform your marketing automation and CRM (Dynamics 365) integration strategy. No two businesses are exactly alike, and the more complex your marketing campaigns are, the more technically robust and flexible your data integration needs to be. Nonetheless, even the simplest integration works best with a plan in place before you sync up. With that in mind, we’ve provided four items you need to consider to foster a successful integration between your Dynamics instance and marketing automation platform. Integration is about bringing your teams, tools, and data together to function together in a unified fashion. To achieve this, you need to be able to sync the necessary data about any Contact, Lead, website visitor, or Account in a way that translates the data to the people who need to know it (e.g., Sales or Marketing). Typically, data flow between your Dynamics and marketing automation platform can either be one-way, which is triggered by events and flows in one direction only, or two way, which involves syncing data between both systems, making it accessible on each platform. Your Dynamics and marketing automation integration needs to be able to update and maintain records in both systems. This requires field-level syncing capabilities—both for custom fields and for system fields (more on that later). Sometimes you need one system to be the source of truth and not the other—in that case, you want to be sure that you can control which system can overwrite data—and which can’t. Ideally, your integration will be able to match up identifiers across Dynamics and your marketing automation platform, which helps to minimize false merging of profiles and organizes data under one common profile, creating a single source of truth for your customer data. It is also important to realize that, because prospects reach out to your organization in different ways, there is always a chance that contact information will be entered into your system more than once. If an email address that appears in marketing automation already lives in Dynamics, or vice versa, you want to be sure that your system easily connects the dots. You don’t want to bloat your system or cause reporting issues by creating duplicates across your marketing stack. The ability to create Marketing Lists to support lead nurturing is made more powerful through your marketing automation platform integration. When looking at Leads in Dynamics, being able to identify those that are ripe for a nurturing campaign allows marketers to build Marketing Lists based on specific Fields or actions. Once your Marketing List is built, campaigns can be created and launched at a CRM-oriented trigger in your marketing automation platform based on what field you targeted in Dynamics. In addition, being able to create custom fields in Dynamics allows for increased flexibility and better targeting (segmenting) when building Marketing Lists. Once a campaign is ready, your integration needs to be able to map your Marketing Lists to your marketing automation platform—so be sure your marketing platform allows for custom field creation if you plan on using your Dynamics custom fields in your marketing campaigns. Even after a Lead has been delivered to Sales, Marketing will continue to be involved in the sales cycle. Sales needs to have visibility into which key marketing programs each Lead or Contact is interacting with. These marketing activities can inform sales discussions or help drive urgency at a particular sales stage. As your Marketing team nurtures, you’ll want to explore what types of marketing data your marketing automation platform will display in a Dynamics record. every marketing activity needs to or should be shared with sales. Only activities immediately relevant to the sales process should be made available in the Activity view. Once viewable, sales reps can use it to track marketing activities along with other sales developments, such as details around individual sales calls. But it’s important to talk through what is useful information for Sales first. A key marketing activity that a sales rep would need visibility into might include potential trigger actions, like a visit to a specific website, or a download of some high-value content, like a case study or solution brief. Ask if your marketing automation platform can add these activities to your records for easy visibility. Not all inbound leads are created equal. Some may be ready to feed into Dynamics immediately, while others may be in more of a nurture state. While early funnel leads are great candidates for an email nurturing campaign, they aren’t quite ready for Dynamics primetime. That’s why it’s important that you maintain control over which marketing-ready leads become true Dynamics-ready Leads. Think for a moment about the quality of website form submissions you get on a given day: some of them are people selling lists or spamming you with non-sales-relevant content. If every website form submission creates a new Lead in Dynamics, you could be looking at a messy situation. You may also want to consider your required fields in Dynamics and how those fields will get entered by your marketing automation platform forms living on your website or landing pages—can your platform accommodate things like Owner or Lead Source? If so, see if you can use non-visible fields to accomplish these tasks. Otherwise, your marketing hours may get spent updating information that is autopopulated incorrectly. As you explore options for integrating marketing automation platforms to your Dynamics 365 instance, taking a moment to understand what data you need, where you need it to live, and how you’re going to use it can go a long way toward a successful integration. And if you need help with next steps, be sure you bring both your Partner and your marketing team to the table (more on the marketing part of that conversation here). Natalie Jackson is the Marketing Director for the emfluence Marketing Platform and emfluence’s Digital Marketing Agency. Learn more about her here. There are so many ways to mark progress in human history. In recent decades, we’ve made huge leaps in technology and capabilities that have re-defined modern life. The evolution of document generation offers a similar picture. Progress isn’t measured only by a new product, but by automated capabilities that provide dynamic functionality, such as Xpertdoc for Microsoft Dynamics 365. Document generation on its own is like comparing a wind-up Victrola to a digital music download. Native Dynamics 365, for example, offers document generation with a few options, but none of the automated capabilities and technological conveniences that make the Xpertdoc Smart Flows component the competitive choice. If you want to compare the technical capabilities of both, click here. Xpertdoc’s document flow automation solution is all about automating and executing every process needed for the creation, management and delivery of forms and documents from one spot. This is a powerful and competitive business advantage, not only for its efficiency, but also because it provides personalized customer service, which ultimately leads to better customer engagement and retention. Every day, organizations send out communications like flyers, proposals, quotes, intake forms, follow-ups, offers, and more. These items could contain reusable content and repeated details like legal clauses, pricing, product descriptions, scope of service, etc. What Xpertdoc offers is the ability to design data-driven forms and templates, and then automate the assembly and delivery of the documents. You can create, manage and deliver personalized documents with the confidence of knowing the content and format are accurate and up-to-date every time. Let’s say you are a salesperson and want to send out a proposal to a customer, but you need to make some edits to the proposal template. You’re a little wary at first, because you’re not a graphic designer. You’re relieved to discover that editing the template is easy – edited in Microsoft Word with no coding skills required so you don’t need to call IT for help. Best of all, you can automatically merge any Dynamics 365 data into your templates and conditionally display content for truly dynamic and personalized documents. And with e-signature integration, customers can complete and sign their proposals in seconds, resulting in an accelerated sales cycle. After the document is returned electronically, you can save it to a SharePoint site for general access. If someone requests a hard copy, it’s no problem to print one. And you can now define business rules and workflows for other documents, such as invoices and marketing communications. To stay competitive, it’s time to go with the flow – Xpertdoc document flow automation that is. Sign up today for a free 30-day trial! To learn more about Xpertdoc for Microsoft Dynamics 365 and the Smart Flows component, visit xpertdoc.com and follow us on Twitter. Mass production was the defining innovation of the 20th century, but as we move further into the new millennium, it’s become apparent that the idea of mass customization is the prevailing concept of the 21st century, especially as it pertains to digital marketing within the manufacturing industry. The irony, of course, is that while the core concepts of modern efficiency were conceived and brought into maturity within the manufacturing industry, this particular vertical has also been one of the slowest to adopt marketing innovation. If your organization is still on the fence about implementing new solutions, keep reading to learn how marketing automation can benefit businesses in the manufacturing industry. Brass tacks: within the next five years, nearly all of your competitors will be using some form of marketing automation platform — and the ones who don’t won’t matter because there’s a good chance they won’t be around anymore. Presently, though, a solid portion of your competitors haven’t hopped on the automation train just yet. This obviously presents a golden opportunity for you to seize a serious chunk of market share by getting your messaging in front of the right audience at the right time to increase lead quantity and quality — and to pass those qualified leads to sales. Further, once you’ve used your marketing automation platform to gather and nurture leads, pass them to sales, and lock them in as paying clients, your new marketing solution will help you retain these clients ad infinitum through well-developed, well-oiled customer retention campaigns. By now, you’ve collected the data and understand your clients’ needs, which, when coupled with your marketing automation platform’s outbound campaign functionality, allows you to continue to grow and expand those existing relationships over time. One of the main problems with using an email service provider (ESP) or, worse yet, no marketing software at all, to facilitate your manufacturing marketing efforts is the degree of difficulty involved in aligning and consolidating disparate marketing initiatives into one holistic, actionable, and trackable strategy. In these outdated marketing models, all marketing channels and team members (including content, demand generation, public relations, and social media marketing efforts — among others) are siloed with no viable, means of coordination and documented communication across channels. As a result, opportunities fall through the cracks, quality leads aren’t developed and/or passed to sales, and the data collected is skewed and difficult to understand (much less, leverage). According to the Content Marketing Institute, one of the leading challenges manufacturing content marketers face is “overcoming traditional marketing and sales mindset.” But marketing automation combined with CRM allows marketers and sales teams to plan and connect through one easy-to-use platform to create campaigns that are synced for success and then follow-up with qualified leads through automated programs, social sharing, etc. And when everyone better understands the ideal buyer persona(s), it allows your team to segment campaigns that complement and support one another across various channels and at various points in the buyer’s journey. Perhaps the most appealing aspect of marketing automation is that it helps users simultaneously conserve resources and improve return on investment. With better lead targeting at the top of the sales funnel and improved lead nurturing throughout the buyer journey, your team can activate campaign execution in a more timely fashion while using fewer resources to produce amazing results. As your sales funnel continues to expand, you can segment your campaigns to reach the right audience while scaling up and diversifying your product lines. The beautiful thing about digital marketing, in general, is that if all the pieces are in place, you can have crystal clear visibility into accurate, relevant reporting in real time. With marketing automation, in particular, manufacturing marketers can put the days of cobbling together faulty reporting from individual disconnected channels behind them. This helps you measure your marketing ROI and improve your results through A/B testing and pinpoint targeting. Once your pipeline begins to grow, you can use predictive analytics to optimize your existing campaigns and shift your messaging to keep up with evolving customer needs and interests. At the end of the day, your success still depends on your team’s dedication to evolution. Depending on which vendor you choose, your new marketing automation tool is going to be incredibly powerful, but if you’re unable to get everyone committed to using the software (and using it correctly), you’ve wasted a valuable investment — one that you likely had to lobby for in the first place. And if there’s one thing that really grinds your boss’ gears, it’s when they discover their team isn’t using their resources properly (or at all). Case in point: according to market research conducted by SiriusDecisions and Research in Action, respectively, your manufacturing competitors that are already using a marketing automation platform aren’t using it properly or to its greatest capacity (85%) and many of them (33%) are actively looking to switch platforms. This tells us that manufacturing marketers are struggling to implement their new software effectively and align their existing process with these new systems. Therefore, as you embark on your search for a marketing automation platform, look for a vendor that can assist you in implementing your new tool and provide you guidance on how to leverage it to its fullest. The Act-On marketing automation platform has solutions to each of the four pain points listed above. Our platform enables your team to outpace your competition with the industry’s fastest time-to-value marketing automation software. Launching coordinated campaigns in a single tool with easy-to-use tracking and reporting will result in better leads and increased revenue while using fewer resources. By purchasing and activating an intuitive and useful marketing automation solution such as Act-On, you can accelerate your marketing and sales efforts to bypass those competitors that are struggling to get the most out of their existing marketing automation platform. And, with Act-On, if you’re ever having difficulty maximizing the potential of your software, our industry-leading support team is here to provide useful solutions to complex problems. Peter Hoffman is a veteran of the manufacturing industry who knows firsthand how hard it is for his peers to adopt new methods and technologies to market their businesses. His father founded, R.M. Hoffman Company and Motion Solutions (which acquired R.M. Hoffman), which have both been operating for more than 60 years. “That’s pre-internet, pre-email, which is true of a lot of companies and industries,” Hoffman said. He is the vice president of marketing at Motion Solutions. “So there are set ways of doing things. Those ways of doing things have worked well. But times change. For Peter and Motion Solutions, that advantage was adopting a marketing automation platform and integrating it with their CRM and marketing activities. However, Peter cautions that it can take time to achieve success with new technology. “Act-On has been a great partner for our company,” he said. “It’s provided us the access to capabilities that we just couldn’t have otherwise. I guess one piece of advice that I would give is it takes time and that it’s important to think about marketing. I think of it sort of in a very much layered fashion, that you have to sort of do one thing at a time. In our case, I think it’s probably a two-year program to really build a platform. And you can’t do everything at once. And so it’s really important to understand priorities, understand how the integration of the various parts of the platform, and how it fits into the business practices, and the overarching vision of the company, and to lay out a plan where over time the components are built out. We redid our website. It was 100 percent a new website. It took us about six months, but I couldn’t build this [Act-On] platform on top of our existing website. So in our case, we had to go in and actually rebuild the website. So, I would just say it’s important to be thoughtful. It’s important to have a strategic approach to understanding the segmentation of customers. And build a marketing platform over time that has all the various components. And do it in a thoughtful way so everything works with everything else. I mean you don’t want to get to the end of a project and say, ‘Oh gosh, this piece of software doesn’t work with that piece of software, what a waste of money and time.’ So it’s really important to be very thoughtful and strategic early on and not be too tactical initially. Once the platform is built, then we’re now in a position that we can do great — we can begin to do content marketing, we can begin to drive again — we can begin to do social media, we can begin to do community marketing, we can do all the kind of things now because we spent the time to build the marketing platform and the infrastructure. But again it wasn’t something that happened overnight. Creating a personalized marketing experience is the goal for many companies, but providing customers with the targeted information and resources they demand can be challenging without the proper tools. When manual marketing tasks — such as segmentation, sending emails, and keeping up with various product launches — eat up much of your time, that leaves little room to tailor your messaging. TruStone Federal Credit Union is a financial institution with a strong customer focus that was struggling to deliver the right messages to their members. It was the credit union’s customer-first approach that motivated them to upgrade from an email service provider (ESP) to a marketing automation platform with the necessary resources to provide their members with timely and relevant communication. TruStone leverages Act-On’s automated email programs, landing pages, segmentation tools, and more to match up members with resources and information that fit their financial goals. We interviewed TruStone’s Chief Business Officer Steve Steen and Digital Marketing Specialist Carrie Uttecht, and they shared a few insights of how their team is changing the way the credit union communicates with members. Keep reading to learn how TruStone is benefiting from marketing automation and using Act-On to put their members at the forefront of all their credit union marketing efforts. You can also check out our success story to get an in-depth look at how TruStone uses marketing automation to improve overall engagement and maximize their marketing ROI. With marketing automation, TruStone’s marketing team is able to save time on manual tasks such as onboarding new members, sending emails, and keeping track of which communications were sent and when. By eliminating much of the hassle involved in everyday tasks, the credit union’s marketing team is able to focus their resources where they make the most impact. Carrie says that Act-On’s automation features allow her to concentrate on other customer-engagement efforts while giving her peace of mind that members are still receiving critical information. By improving the personalization of their messaging, TruStone has increased overall engagement of their email campaigns. The credit union has achieved average open rates of 68.8% on nurturing emails and an average open rate of 42.5% on follow-up emails. The results are even better for highly-segmented emails, where TruStone is generating open rates of 83.3%. One of the benefits of choosing the right marketing automation platform is it enables marketing teams to fulfill their current goals while also equipping them with the tools they’ll need when it’s time to expand their efforts. In addition to offering customers robust marketing automation, Act-On’s platform integrates with various third-party tools to empower teams to continuously transform their marketing as their organizations grow. Carrie notes that she’s excited to see how TruStone will continue to benefit from Act-On in the future. We’re looking forward to seeing how TruStone Federal Credit Union continues to use Act-On to transform the customer journey and practice a member-first approach. Marketing automation is an absolute necessity for businesses and marketers dedicated to driving conversions and improving ROI. Today’s platforms enable marketers to deliver their messaging to the right audience at the right time while saving time and money and increasing sales. In fact, marketing automation can help businesses increase sales productivity by an average of 14.5% while reducing marketing costs. If you’re looking to produce similar results, implementing powerful, sophisticated marketing automation is the way to go. However, a powerful platform can’t do much without the right pieces in place to set you up for success, which is why a marketing automation vendor’s job should transcend merely providing you with an effective automation solution. Your vendor should be willing, eager, and able to provide the strategic guidance and expertise you need to use your new marketing automation software to its fullest potential. At Act-On, we’ve worked with thousands of customers, big and small, to help them uncover solutions to their biggest challenges and help deliver real results. Here are 5 common obstacles to successful marketing automation implementation we commonly see and how to overcome them. A marketing automation tool is not meant to replace your marketing strategy. Instead, your marketing automation platform should help you deploy your plan. In other words, don’t expect your new marketing automation software to generate the results you want if you don’t have a complete and thoughtful plan for how you should be using it. Before your team pours money into a new platform, you should articulate which goals and objectives you want to tackle with this new solution. As product experts, the marketing automation software company you’re considering partnering with should be able to offer you advice and tips to help you maximize results. They should also provide you with personalized support throughout the implementation period so you can overcome pain points related to your inbound, outbound, sales, and loyalty marketing efforts. I’m sure this is something many of us have seen over the years at various organizations. Your business invests in a supposedly life-changing solution only to find themselves investing countless hours simply trying to figure out how to use it. When choosing a platform, consider what kinds of onboarding services are provided. Research how involved your vendor will be in helping you implement your new marketing automation platform and whether they’ll provide ongoing support and training to help you maximize your use. Despite research indicating that marketing/sales alignment can lead to an increase of 38% in sales win rates, the lack of collaboration and communication between these two departments continues to be a problem for many organizations. For businesses that choose marketing automation, this lack of alignment can be detrimental to their overall success. It’s not enough for your marketing automation platform to integrate with your CRM. Alignment with sales starts strategically by having the same vision around goals, metrics of measurement, and the process that you’ll use to get there. For example, do marketing and sales have the same definition for a marketing qualified lead? If not, that’s one thing to consider as you implement your new marketing automation solution. Automating your emails can only take you so far if you don’t truly know your customers and understand how to motivate them to take action. If an email doesn’t resonate with your audience, you’re unlikely to see the conversion rates you’re hoping for. In order to launch new campaigns in your marketing automation platform successfully, you need a clear understanding of your buyers, and your sales funnel should be optimized to fit their needs. Over 70% of companies with documented buyer personas exceed both their lead and revenue goals. Marketers and sales professionals need to speak their buyer’s language on their terms. Do your buyers appreciate more formal or casual language? Do they respond better to hard facts and numbers or customer stories and anecdotes? If you don’t know the answers to these types of questions, your marketing automation vendor should be working with you to develop inbound and outbound marketing strategies that drive engagement. Think of ways you can tailor your efforts to collect data that will enable you to better understand your customers and create a plan of action for engaging them throughout their customer journey. Whichever marketing automation platform you choose will be equipped to summarize results, but you need to understand which metrics and KPIs to track and analyze to improve your overall marketing efforts. Before you implement your platform and begin to launch your marketing automation initiatives, you should consider what kind of data you want to measure and the types of results you’d like to achieve. Then, set up your campaign in a way that helps you measure what truly matters to the success of your business and marketing efforts. If your goal is to provide your customers and leads with more personalized marketing, you need a more personalized approach to your marketing automation implementation. As you embark on the search for the right platform to help you realize and transcend your objectives, search for a partner that can offer you a complete end-to-end solution with platform, strategy, and support to provide the resources required to exceed your business goals. It’s in your marketing automation provider’s best interest to set you up for success, and as experts in their product, they should be able to help you implement your new software in a way that works best for you.